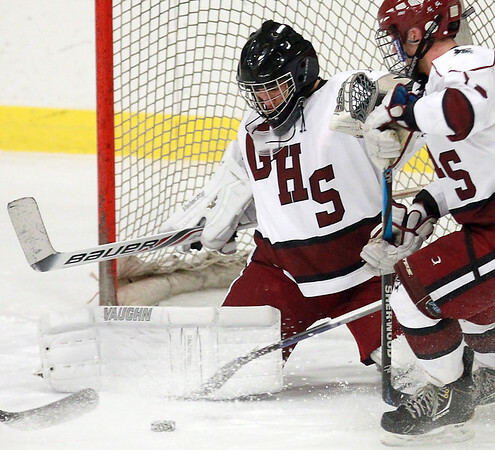 Gloucester goalie Derek Morris makes a kick save off his right pad on a shot off the stick of a Beverly player in an NEC matchup at the Dorothea Talbot Rink on Wednesday evening. DAVID LE/Staff photo. 2/4/15.